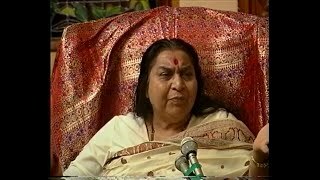 Eve of Birthday Puja. Sydney (Australia), 20 March 1990. So my tour of Australia has come to an end. Today is a day I can say it’s all very well done. We have had a very good response. I didn’t expect that much everywhere. It was tremendous. And very great things have happened, some miracles also, during this visit. 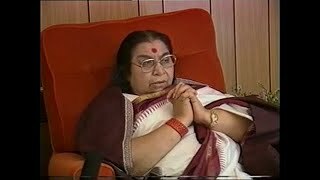 Shri Mataji: Let’s sit. So now, please be seated. Please remove this one, if you can take it out. We are all just the same, it’s one of the very important things we have to achieve, that we are all just the same, there’s no difference between us. Press Interview with “Canberra Times”, Canberra, Australia, 20 March 1990. 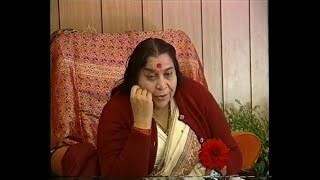 Shri Mataji: You ask them to bring My spectacles. Lady interviewer: Oh, sorry. I came along for that now last night. There were just a few things that I want to clarify with You. – Umm, this is Your fifth time here in Australia, is it right?